Experts will discuss how companies are disrupting healthcare through horizontal and vertical integration to improve efficiency, drive better quality and bend the healthcare cost curve, describe how innovations in healthcare delivery and efforts to address the social determinants of health are changing the face of healthcare, and discuss how public policy and regulatory changes, new value-based models of care, consolidation, and deeper integration across the healthcare system are likely to impact patient-centered care. PQA Fun Run/Walk - led by the Baltimore chapter of "Back on My Feet"
Healthcare grows more complex and the number of non-traditional providers increases every year. Simultaneously, newsrooms continue to shrink, and audiences receive their information from an increasingly diffuse set of media. From clinical care to the business of healthcare, how can companies and associations ensure their voice is heard in trade, policy and consumer media? How should communicators focus their time and resources in a competitive and rapidly changing environment? Experts will share their insights for effectively engaging media today. From medication synchronization to diverse clinical services, pharmacist-provided care is the future of pharmacy and patient-centered healthcare. Pharmacist-provided care and care delivery transformation are expanding the opportunities for partnership and collaborations between with pharmacies, payers, and other healthcare stakeholders in achieving shared goals and delivering essential, high-quality and cost-effective care. PQA recently released the Value-Based Pharmacist-Provided Care Action Guide as a set of 15 actions and strategies for pharmacies, payers, and other stakeholders to take in the adoption of pharmacist-provided care. This session will showcase these actions, facilitate a discussion, and ultimately aim to identify ideas and potential collaborations between stakeholders in carrying out the actions outlined in the Guide. Medication adherence continues to serve as the primary indicator of medication access. Yet, there are upstream factors (i.e., financial and non-financial) that, if not addressed, may disrupt the patient’s ability to receive needed medication. To that end, PQA developed a conceptual framework to better define medication access and to identify priority gaps for quality measurement and improvement. Using the framework, healthcare stakeholders can implement various levers to align their core business or organizational functions to drive improvement in medication access. This session will explore how innovative technologies based on the PQA Medication Access Conceptual Framework can be incorporated into healthcare organizations to automate care coordination. Realo Discount Drug recently completed a project through the Community Pharmacy Foundation focused on improving the quality of care during healthcare transitions. This session will describe the power of interdisciplinary teamwork, medication safety, and impact of quality metrics. How can quality measures reflect aspects of care and outcomes important to patients if people with chronic conditions aren't part of the process? Only through improved communications and greater patient engagement, will researchers, payers, and policymakers be able to refine quality-related efforts in a way that improves health care. This session will describe a patient-driven, multi-stakeholder collaboration to develop an interactive, online educational program to increase the patient-community capacity to engage on quality of health care. Pharmacy Management Consultants (PMC), the pharmacy benefit manager for Oklahoma Medicaid, has engaged in negotiations with manufacturers regarding pharmacy-based value-based contracts for more than 2 years and is on the forefront of pharmacy value-based contracting in Medicaid. PMC has encountered many barriers including but not limited to: best price implications, manufacturer consumer price index (CPI) penalty concerns, contracting limitations, manufacturer responsibilities, data collection, and other barriers. Medicaid is a unique regulatory environment with limitations other payers may not encounter. Using a standard template PMC has met with different drug manufacturers to develop these value-based contracts. Currently, PMC has 4 contracts in place each presenting a unique challenge with varying degrees of complexity. The intended goal of this session is to share challenges and best practices about the models that have been initiated. Health plans continually seek innovative ways to maximize quality measure performance and member health outcomes. WellCare Health Plans has worked closely with its network providers to implement a new strategy to improve members’ medication use. This presentation will describe how WellCare has deployed a technology-enabled provider incentive program that supports effective direct-to-member engagement on behalf of the provider. Participants in this session will learn about the quality outcomes of this approach, how technology is used to drive and measure pharmacy quality improvement, and methods to enable provider solution adoption. Including the patient voice in quality measurement is a priority, but difficulty developing methodologically-sound patient-reported measures (PRMs) and implementing meaningful patient-reported performance measures (PR-PMs) has contributed to gaps in the availability of PR-PMs for accountability programs. With funding from the National Pharmaceutical Council, Discern Health researched patient-reported measurement in oncology to chart a path for gap-filling. The project included: performing an environmental scan and measure gap analysis; interviewing stakeholders and experts; and facilitating a multi-stakeholder roundtable to explore challenges and opportunities. This session discusses the landscape and use of available PRMs and PR-PMs. It explores key concepts from provider, patient, and researcher perspectives and offers recommendations for filling gaps in availability of meaningful patient-centered measures, including those related to medication and treatment toxicity. To address opioid overuse for chronic noncancer pain, in 2015, Blue Shield of California implemented a narcotic safety initiative with a goal of cutting opioid use by 50% by end of 2018. The initiative includes multiple evidence-based interventions including formulary design, risk-based case management, & partnering with physician groups to reduce high-risk prescribing patterns & prevent patients newly starting opioids from progressing to unnecessary chronic use. The integration of comprehensive data analytics is a key factor contributing to the success of this initiative. In this session, we will share how we approached analytics supporting this initiative overall. We will share how we used data analytics to track our initiative’s progress toward its goals; provide information on potential areas of opportunity to pursue; & used data to find out something that hasn't been answered in previous studies. Performance-based pharmacy reimbursement programs have existed for several years and the complexity and impact of those programs continues to increase, particularly in Medicare populations. Hear about general components of these programs, available information to understand your performance, how pharmacies may target adherence efforts to have the greatest impact, and how these programs and the available performance information may change in the future. Healthcare organizations need to understand the health concerns of specific populations, so they can design effective outreach programs, manage care, and contain costs. But health risk assessment (HRA), claims, and enrollment data are no longer enough -- they don't provide the consumer insights needed to pinpoint communications, marketing and other outreach strategies. Providers, researchers, and payers can combine cutting-edge segmentation methodology with a rich set of healthcare-specific consumer lifestyles, attitudes, and behaviors to better understand health status, disease prevalence, substance abuse, illness burden, and more. The speakers will share examples from organizations that are using socio-demographic data to understand who their high opioid users are and what socio-demographic factors may predict potential abuse. Suboptimal medication use, increasing complexity of drug regimens, and focus on shared accountability for clinical measures drive the need to leverage the medication expertise of clinical pharmacists in direct patient care. An effective strategy being adopted by the primary care community is to foster collaboration between clinical pharmacists and physicians to provide advanced patient care management, such as medication and disease management. This session will highlight innovations in a large academic institution as they integrated clinical pharmacists as a vital member of the team-based care model in the ambulatory care setting. In addition, a unique collaboration between physician organizations, a payer, and a statewide coordinating center to improve patient care and address medication-related challenges will be presented. Variations in pharmacy quality measure performance may be explained in large part by the nature of the patient population receiving services at the given pharmacy or health system. One approach to equitably capture quality for pharmacy Star ratings and reimbursement incentives is to conduct risk adjustment of quality measures for the patient mix. Previous research has tested several strategies for risk adjustment of pharmacy quality measures. This session will explore the need for risk adjustment and review available techniques for conducting risk adjustment. 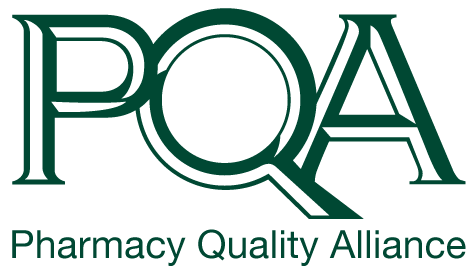 We use commercial and Medicare pharmacy claims to demonstrate the impact of these techniques on PQA-endorsed measures such as Adherence to Star Therapy medications. We explore the methodological underpinnings and practical consequences of risk adjustment and how risk adjustment may impact quality ratings and quality improvement strategies. Finally, key drivers of adherence and their impact will be presented. Child health providers, including children’s hospitals, are increasingly under pressure to demonstrate the value of the care they provide. In early 2019, the Children’s Hospital Association (CHA) is launching a Pediatric Quality Measures Menu listing approximately 70 quality measures ready for immediate adoption. CHA, along with Discern Health, convened a multi-stakeholder advisory panel to review existing measures and consider their relevance in assessing value of child health care from their unique and joint perspectives. The menu complements and incorporates other pediatric measure sets and adds pediatric acute inpatient and specialty care measures often missing in existing core sets. Some measures in the menu assess medication adherence and appropriateness with demonstrated poor performance and variation and/or disparities (e.g., antibiotic prophylaxis for children with sickle cell anemia, internal bowel disease safe and effective medication use). CHA and Discern Health will facilitate a discussion among key stakeholders from the project’s advisory panel: children’s hospital, payer, and patient/parent representatives, and discuss how they prioritize the use of select measures and how measures may facilitate their efforts to actualize, improve, and demand high-value care for children and their families. The panel will also address remaining priority pediatric measure gaps. Since its inception in the 1950s, theater pedagogy has been a useful tool for educating audiences on a variety of subjects. In healthcare, theater has promoted public health, simulated patient-provider interaction, and, more recently, relayed the patient experience to providers. While the experiences of patients with specific disease states, including cancer and HIV/AIDS, have been presented to various providers, there is no production known to specifically address patients’ medication experiences and the quality of life lived with those medications. With nearly 70% of Americans taking prescription drugs, we acknowledge a need for an educational tool to understand patients’ experiences with medications and the value of those stories to quality measures. This session will explore symptoms, medications, and metrics through the lens of the patient using a scene, “Interference,” from the play project Go Ask Alice. Speakers will introduce how social determinants of health impact patients and communities, and how understanding these determinants and consequent health disparities can shed light on how to better include the patient voice in quality. Employers, in aggregate, are the largest healthcare payer in the United States. Thus, understanding commercial needs and priorities is critical in the healthcare quality paradigm. The first part of this session will describe employer-funded healthcare, including the various healthcare purchasing alliances. Next, the relationships between employers, pharmacies, and payers will be examined. This will provide kindling for disruption and opportunity. Finally, the session will highlight effective collaborations between employers or healthcare purchaser coalitions, health plans, and pharmacy benefit managers. These success stories will showcase the elements necessary for positive and proactive healthcare delivery. Polypharmacy is being recognized as a growing concern in the literature. With more medications, patients have complex medication regimens, often leading to non-adherence, adverse drug events, unnecessary acute care use, and a reduced quality of life. Kaiser Permanente will share best practices in developing and implementing deprescribing programs in several populations, including those with hyperpolypharmacy (taking 10 or more medications) or for those taking opioids, benzodiazepines, antidiabetics, antihypertensives, and other common drug classes. Lessons learned, best practices, and key frameworks will be shared to help other providers and health systems create similar programs to deprescribe effectively and improve outcomes. Outcomes from existing programs will be shared and discussed. A primer on behavioral science will be provided to help attendees shape effective deprescribing conversations with patients, caregivers, and providers. Specialty pharmacies are increasingly accountable for ensuring optimal outcomes of costly specialty agents. However, there is a disparity in valid and consistent outcomes measures in most specialty disease states. Therefore, a need exists to develop quality measures for specialty medication use that are feasible, applicable, and clinically relevant across institutions. Such measures will improve safety and efficacy monitoring of these medications and allow for benchmarking across the industry. This session will describe the role of specialty pharmacies in improving the quality of specialty medication use, and provide examples of three institutions that have designed, implemented, and evaluated quality metrics in a specialty pharmacy practice. These examples provide tangible use cases for the benefits and processes of ensuring quality in specialty medication use. The CQMC is a broad-based coalition of health care leaders, including CMS, health insurance providers, primary care and specialty societies, and consumer and employer groups. Its members work together to identify core measure sets-- succinct groups of high value, evidence-based, and patient-focused measures for consistent use across a broad set of programs. Through promotion of the core measure sets, the CQMC seeks to encourage quality measure alignment across public and private payers, reduce provider measure reporting burden, offer consumers actionable information about provider performance, and improve care quality and health outcomes. This session will be a roundtable discussion with CQMC leaders representing AHIP, CMS, and NQF. The speakers will provide an in-depth look at the measure set development process, measure set adoption among public and private payers, challenges and potential barriers to measure set implementation, and the future direction of the Collaborative. This session will summarize activity to date for CMS’ Center for Medicare and Medicaid Innovations’ Part D Enhanced Medication Therapy Management (MTM) Model. The objectives of the five-year model are for stand-alone Part D Prescription Drug Plans to identify and implement innovative strategies to optimize medication use, improve care coordination, and strengthen system linkages. Highlights of performance-based results for 2017, the first performance year of the Enhanced MTM Model will be shared. This session will also describe some of the innovative strategies employed by model participants to enhance MTM services aimed at improving the quality of care while also reducing costs. For an entertaining change of pace during a rigorous education and networking meeting, The Water Coolers will deliver their high energy, uncommonly funny, honest take on work and life. Smart phones, conference calls, kids, co-workers, and travel are just a few of the topics this group of top NYC talent turns into hilarious sketch comedy and song. The degree of uncertainty and pace of change taking place within the healthcare environment requires collaboration and partnership. To collaborate with other stakeholders, we must understand our unique languages, goals, and interests that often present as barriers to meaningful progress. To help facilitate this opportunity and create a common “language”, PQS has created the first trend report to reveal survey responses from patients, pharmacies, and payers as it relates to pharmacist-provided services and value-based performance programs.